NOTE: This series has been funded with a grant from Sony/BMG Masterworks, the label that carries the recorded legacy of Igor Stravinsky. 2007 marks the 125th anniversary of the birth of Igor Stravinsky. Celebrated for the ballets he created in Paris in the years leading up to WW1 -- The Firebird, Petrushka, The Rite of Spring -- Stravinsky was, arguably, the Beethoven of the modern age. 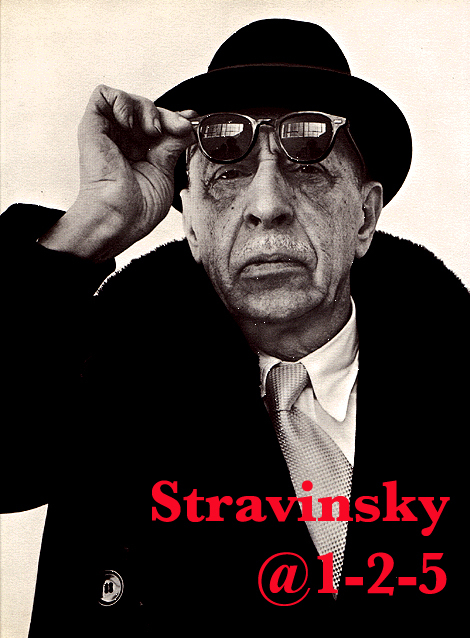 Stravinsky@125, in a series of six radio programs and pieces, explores just some of the many ways we experience his art and craft. Drawing upon interviews with his longtime producer at Columbia Records, John McClure, as well as upon the wisdom of musicians like John Heiss who have devoted years of study to his music, Stravinsky@125 will examine differing facets of the composer and his work. #1: The Birth, Reversion, and Rebirth of "The Soldier's Tale"